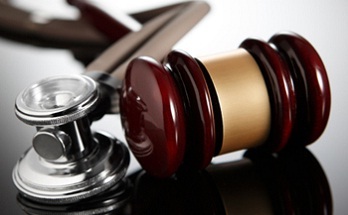 Medical malpractice coverage is among the highest financial costs of practicing medicine. There are a few issues that doctors need to consider when selecting or accepting medical malpractice coverage. Whether you're considering working as a self-employed physician and paying for your own medical malpractice insurance or joining a private group or a large hospital system, understanding your medical malpractice policy is a vital part of your professional preparedness. Claims made insurance policies cover the cost of legal assistance and payment of medical malpractice settlements for lawsuits that are filed only during the time when you are covered by (and paying for) the insurance plan. Occurrence insurance covers the cost of legal assistance and the cost of paying out settlements of medical malpractice lawsuits that pertain to events that occurred while you were covered by the policy — even if you discontinued the policy by the time the lawsuit was filed. If you are planning on moving to another clinical practice, you might need to obtain tail coverage or nose coverage to insure for legal costs associated with your previous employment. Tail coverage refers to medical malpractice insurance coverage for legal action that may come up a given number of years after you discontinue a medical malpractice insurance policy if you had claims made insurance. Usually, tail coverage is purchased from the ‘discontinued’ insurance carrier and only covers events that occurred while the policy was active — it does not cover you for active practice. If you've had an occurrence policy, then it is unlikely that you would need tail coverage, as that is typically a built-in feature of occurrence policies. Nose coverage, on the other hand, also provides insurance protection for a former practice, but is generally part of the new insurance policy rather than the previous one. Despite these definitions, it is still vital to read the fine print and to understand all of the details because individual insurance companies and practice arrangements may have their own exclusions and exceptions. The limit of coverage generally refers to the maximum amount that an insurance policy will pay if a doctor loses a lawsuit. This is referred to as the aggregate and generally does not include the costs of litigation, including attorney fees. However, an insurance policy may have a ceiling to those costs as well, and it is worthwhile to confirm whether there is a limit on the amount of legal fees. In general, the aggregate is approximately $1 million per occurrence and $3 million per year for an individual doctor’s plan. However, some medical malpractice lawsuits seek more money than an individual physician’s limits. Often, those who are seeking a large amount of money through malpractice also include the hospital and any other associated organizations who are known to have medical malpractice insurance in the lawsuit in order to increase the payout. Medical malpractice insurance costs vary and there are numerous cost calculators available. These cost calculators take into account factors such as physician specialty, region of the country, years of experience and previous malpractice history. In general, physicians in procedural specialties have costlier policies. For example, obstetricians generally pay over $150,000 in yearly premiums for medical malpractice insurance, while less procedure heavy specialists may pay about $30,000–$50,000 in yearly premiums. Many doctors provide consulting services to industries such as pharmaceutical, medical device or health and disability insurance companies. Physicians are generally held responsible for decisions, and therefore it is important to define the level of your responsibility and to be aware of all company disclaimers. If there is a chance of being sued for providing consultation to a company, it becomes necessary to obtain adequate medical liability coverage. Most often, the consulting client provides that coverage, and sometimes your own medical malpractice insurer can provide additional coverage for defined consulting work typically at a low cost. The cost of medical malpractice coverage can come into play when physicians are making major decisions about practice arrangements. In fact, in most specialties, the high price tag of medical malpractice insurance can prevent doctors from being able to work part-time hours or from setting up an independent private practice. And the cost of tail coverage prevents numerous physicians from leaving an unsatisfactory job for a more appealing practice or from leaving clinical work altogether. Fortunately, most medical malpractice insurance carriers provide tail coverage for free or at a very low cost to physicians who are at the age of retirement or who plan to leave practice and see patients in a medical mission capacity.